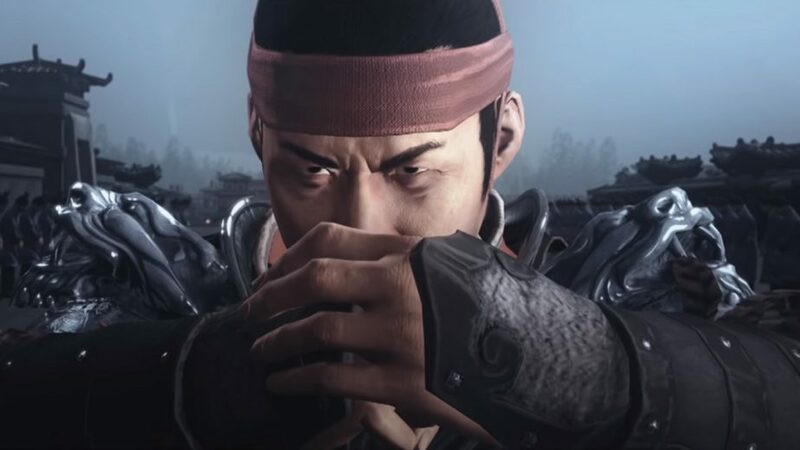 Previously, Creative Assembly announced that there would be eleven playable Total War: Three Kingdoms heroes in the game’s campaign; faction leaders ranging from Cao Cao and Liu Bei to dignitaries like Kong Rong and Liu Biao. 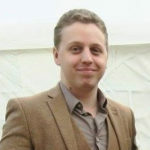 A notable exception to this list was Dong Zhuo, the tyrant who controls the Han Empire at the start of the campaign… and against whom many of the game’s heroes have formed a coalition. 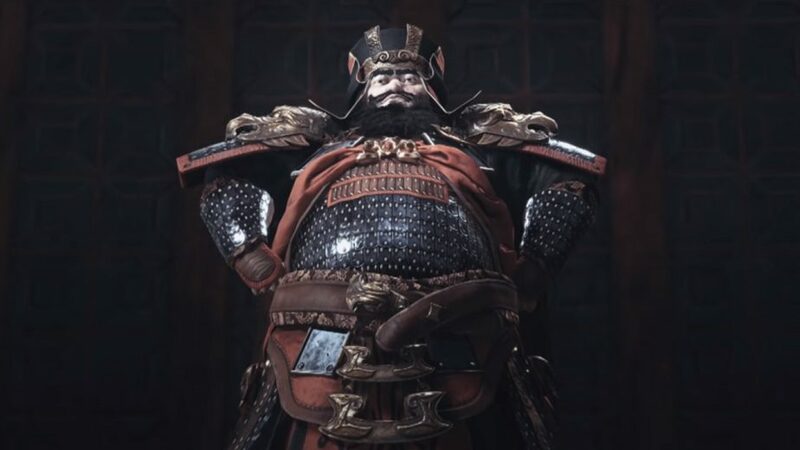 However, Creative Assembly released a new trailer today, revealing that Dong Zhuo will in fact be the twelfth playable faction leader. Instead of being available straight-away, players will need to reach the rank of Duke in a campaign to unlock him. 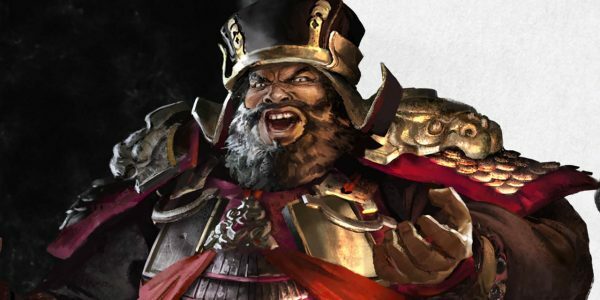 In a follow-up blog post about the ruthless tyrant, Creative Assembly revealed much about his play-style, abilities, and position in the Total War: Three Kingdoms campaign. Dong Zhuo is a Vanguard hero, a member of the class which favours frontline leadership and shock cavalry. Vanguards excel against enemy units, but are vulnerable to other heroes. Among the other playable Three Kingdoms heroes, only Gongsun Zan and Ma Teng are Vanguards. Dong Zhuo begins play with a lot of enemies. The coalition united against him means that Yuan Shao, Yuan Shu, and Cao Cao all begin as his foes to the east. However, the coalition could easily fracture, allowing the tyrant to wait and let the members war against each other while he seizes territory to the north and south. While Dong Zhuo’s unpopularity makes diplomacy difficult, he does start with a major asset on his side; Lu Bu. This mighty warrior can be hard to control, but is almost unmatched in battle. Keeping him in line could prove a difficult task, however. In line with his reputation, Dong Zhuo has access to a unique resource known as ‘intimidation’. This is a measure of the authority which he wields and can be used to keep his characters in line; reducing corruption and increasing overall satisfaction. However, if his intimidation score falls low, corruption and dissatisfaction will increase. Dong Zhuo will need to keep increasing his intimidation score by conquering Han Empire territory, claiming victories in battle, or executing characters. He loses intimidation if he loses a battle and when one of his characters earns a promotion. Intimidation can also be used in diplomacy to threaten other factions into agreeing to his proposals. Dong Zhuo began his career in the imperial guard, where he fought against the Yellow Turban Rebellion. There, he was defeated on several occasions, but managed to earn promotion nonetheless. It wasn’t until the death of Emperor Ling that Dong Zhuo began his rise to power. Following the emperor’s death, a group of corrupt eunuchs known as the Ten Attendants used the new emperor as a puppet, prompting He Jin to call on Dong Zhuo to overthrow them. He arrived too late to stop He Jin’s assassination, but did succeed in executing the eunuchs and seizing the emperor. Unfortunately, Dong Zhuo proved to be far worse than the eunuchs. He quickly deposed the emperor and appointed the child Emperor Shao in his place. He named himself Chancellor, and ruled as a tyrant, using the emperor as a puppet. This dilemma plays out differently in Romance Mode and Historical Mode. In Historical Mode, it is based on personal differences between the two characters and the scheming of Wang Yun. In Romance Mode, the dilemma takes inspiration from the classic novel and introduces the character of Diaochan; the serving girl who turned the two against one another.